I’ve been a bit blue lately. This is probably because I haven’t been flying much at all this summer. It isn’t that I haven’t wanted to get up in the air, it’s just that this summer has been so dog-gone hot! In my defense, we have also been busy buying a house and moving for the past two months. If I’d had time to fly somewhere for lunch on a good day I may have hopped in the plane, but I really haven’t had anywhere to go or any real reason to use the plane. 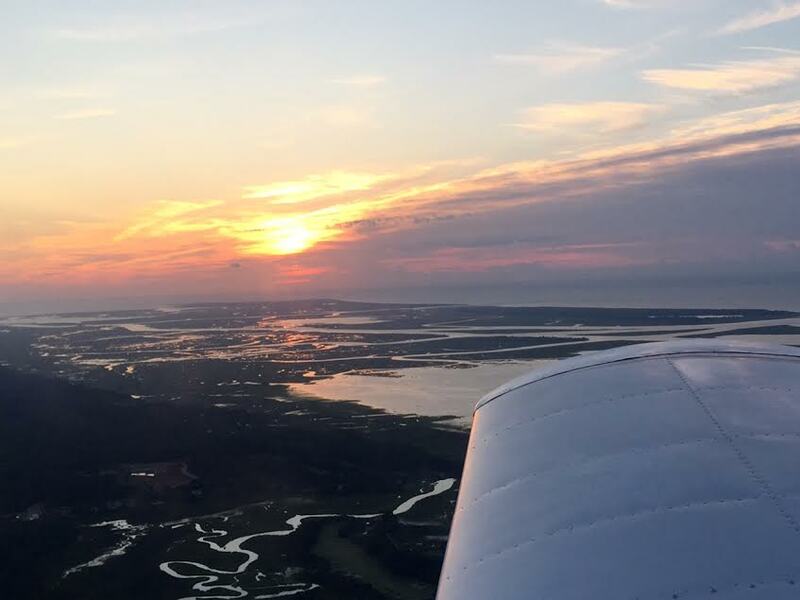 I have planned to go flying several times over the past two months, but the motivation faded when I stepped outside into the sauna that has been this summer in Charleston. I thought I’d beat the heat and go fly around in the morning sometime, but I’m not a morning person. My job at a police department requires that we alternate day shift and night shift on a month-to-month basis, and this is my night shift month. Since I’m always most productive at the end of my day, morning is technically the end of my day this month. After considering this I had no excuse not to go for a sunrise flight after work. The weather was actually perfect this morning, as it is many mornings around here. Hopefully, I’ll squeeze in a few more sunrise flights while I still have use of this airplane.